Yamaha has always had one major aim in mind for the NMAX 125: beat the opposition from Honda. To that end, the NMAX had the upper hand when it was launched, but a revised PCX 125 from the Big H means the Yamaha is no longer the most powerful or fastest of these key rivals. Does that really matter or is this scooter manufacturers trading minuscule blows for the sake of marketing hype? Mostly, it’s the latter as the end result is we have a choice of two great machines that both work brilliantly in and around town. And be in no doubt, the NMAX is one of the best scooters in its category and price bracket. 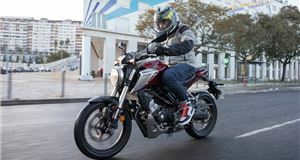 For £100 more than the base Honda, the Yamaha comes with ABS anti-lock brakes and variable valve timing, neither of which the PCX 125 can muster. 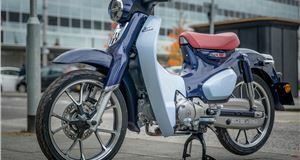 Let’s start with the variable valve timing, which is an unusual feature on a scooter and one that Honda has made much of in its cars and larger motorcycles. So, it’s strange that Yamaha has been the first in this segment to offer it. Goading its rival? Maybe, but more importantly it delivers an extra slug of torque at 6000rpm when a second intake cam lobe comes into play. 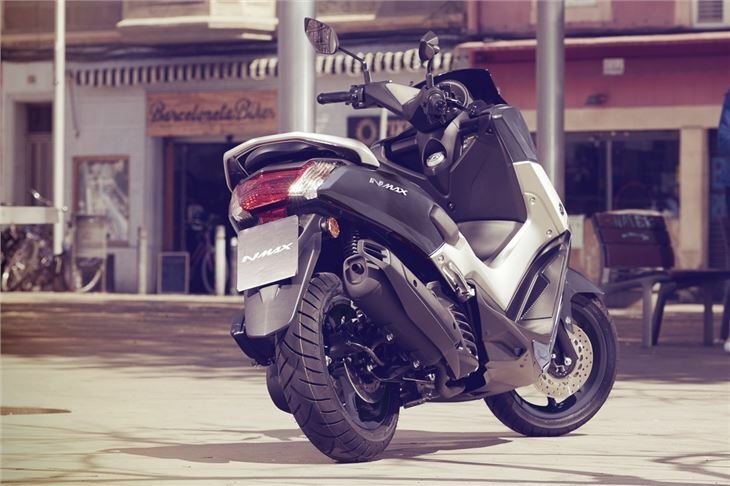 Rather than you feeling a definitive step in power the way you might in some of Honda’s VTEC-powered sports cars, the Yamaha NMAX just keeps on pulling hard. When stepping away from the traffic lights or pulling out to get past slower traffic, the result is you never have to worry about this scooter accelerating with plenty of urgency. If you didn’t know it was a 125cc bike, you would reckon there was a 200cc motor lurking under the bodywork. 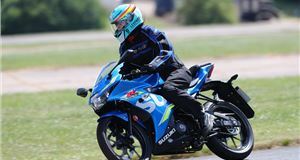 When cruising along, the NMAX’s liquid-cooled single cylinder engine is smooth and quiet, with none of the vibration experienced in some others in this league. Instead, the Yamaha proves itself to be one of the easiest to live with and during our time with it the claimed top speed of 62mph was easily beaten on dual carriageways. In town, the 13-inch wheels give a smoother ride than many rivals on smaller 12-inch rolling stock. There’s also bags of grip as you lean into a corner and ride through on a positive throttle. A little shimmy over mid-bend bumps can be felt, but it’s no worse than any other scooter and the NMAX always feels stable. As for stopping, 230-millimetre discs front and rear offer excellent retardation and the 110-section front tyre bites into the tarmac to resist any slip. Should that happen, the NMAX’s standard ABS anti-lock braking comes into play to restore steering effort and keep you safe from sliding into obstacles. 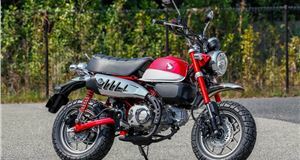 In a scooter of this size and price, it’s a very welcome addition and makes it a great machine for city use where the roads can be slick with diesel when you least need it. We found the riding position was excellent for a 5-ft 10-inch tall rider of average build. 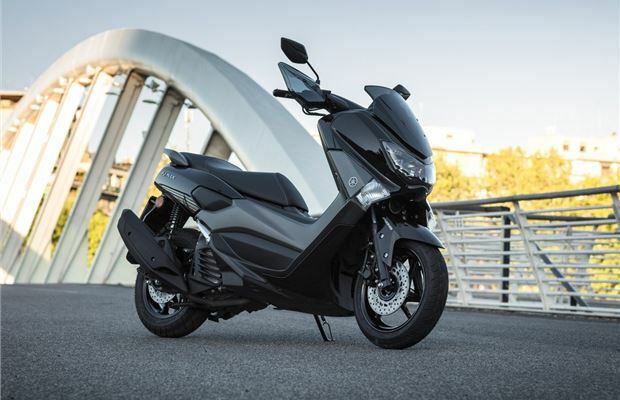 The seat height is a little taller than the Honda PCX’s, but what’s 5mm between friends? And like the Honda, the Yamaha is not a step-thru design, so you have a central spar running between your legs. This gives a sense of greater solidity, though it means you can’t stash a shopping bag or lap case down there as you ride. 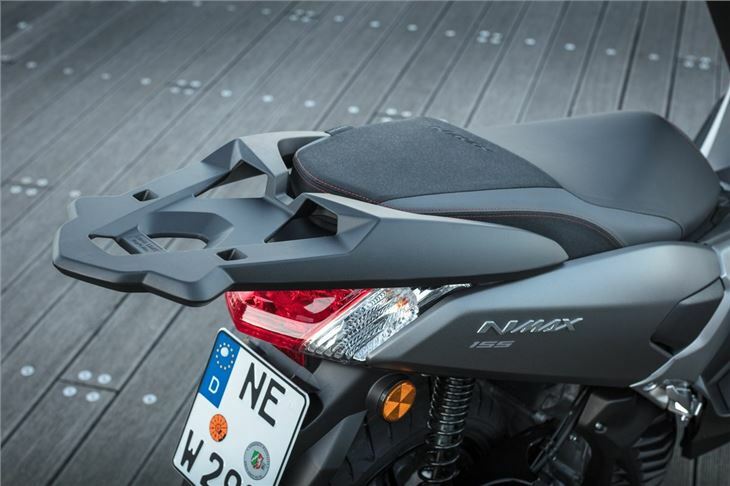 However, the underseat storage is good on the NMAX, so you can keep bags safe and dry as you ride and then store a full-face helmet with room to spare once you’ve parked up. You also have a pair of open pockets in the front inner fairing, while centre and side stands make it easy to park the Yamaha. Above the storage pouches you’ll find a clear and simple dash with digital display for speed, fuel and temperature. There are all the expected tell-tale warning lights and the small cowl over the dash pod keeps rain off the display. If you want to keep more of the weather away from yourself, you’ll need to invest in the optional taller screen. While splashing the largesse, you might also want to consider the apron to go over your knees and a top box for added luggage capacity. There’s also a Comfort Seat that’s more sculpted, but we’ve found the standard item is just peach for rider and pillion, who gets fold-down foot pegs. With build quality that’s every bit as good as the PCX 125’s, the NMAX is a great alternative to the Honda. Is it better? No. Is it different? Yes, there’s a sportier feel to the Yamaha and it’s looks stand out a little more. It’s also marginally more engaging to ride, which is just enough to edge it ahead of the Honda in out affections. 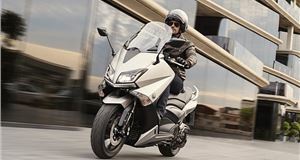 The Yamaha NMAX 125 is on sale now. Top speed 62mph. Fuel consumption 122.5mpg (claimed). VED £18.